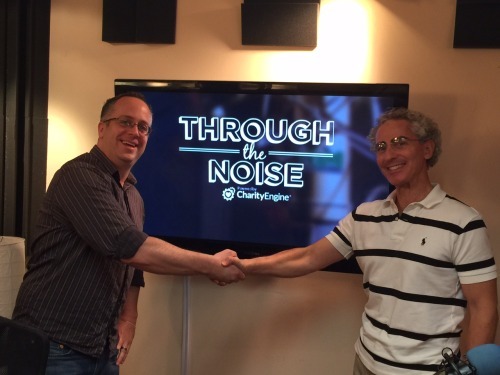 Tony Martignetti is a pioneer in the world of nonprofit podcasting and he joined us in the studio while in town from New York. Tony’s passion is communicating with nonprofits and he has been the host of Nonprofit Radio for over five years – broadcasting live every Friday at 1pm (EST). With more than 250 episodes under his belt, he’s had the opportunity to speak with hundreds of nonprofit leaders from every field. How can podcasting benefit your organization? What are some of the challenges facing nonprofits today? If you’re considering getting into podcasting to get your message out to more people, don’t miss this episode. And when you’re ready, we can help you every step of the way. Tony Martignetti is the host of Tony Martignetti Nonprofit Radio, Big Nonprofit Ideas for the Other 95%. He picks the brains of thought leaders for his 10,000+ listeners in small- and mid-size nonprofits. He’s also a consultant in Planned Giving and state Charity Registration compliance and he’s been helping nonprofits since 1997.